Since the days of Florence Nightingale, nurses have been regarded as angels of mercy. Sadly, that opinion is sometimes misplaced and never more so than in the case of Beverley Gail Allitt. Born on 4 October 1968, one of four children, Allitt became a State Enrolled Nurse and got a job at Grantham and Kesteven Hospital, Lincolnshire. No one noticed that she had a tendency to seek attention, was self-harming and constantly changing her doctor so her behaviour would not be noted. 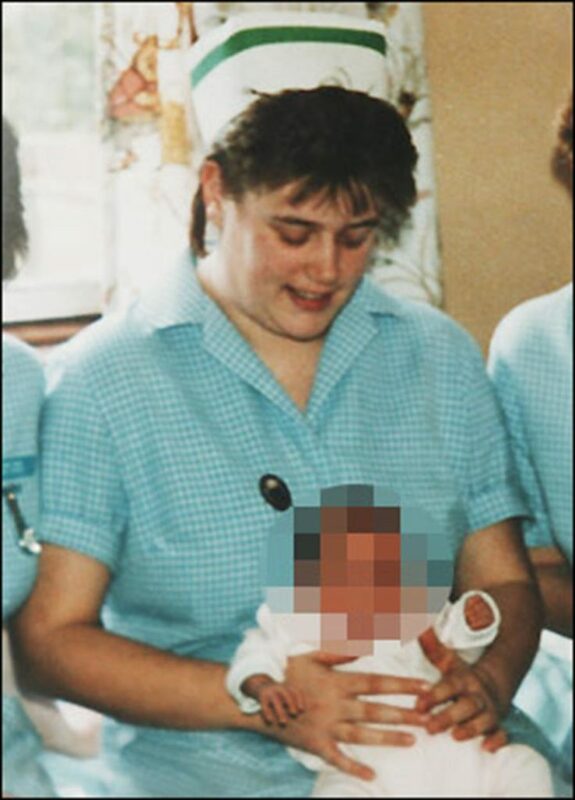 On 21 February 1991 seven-month-old Liam Taylor was admitted with a chest infection. Allitt volunteered for extra night duty to care for the infant but that night the boy’s condition worsened dramatically. He suffered a heart attack and had to be placed on a life-support machine. Liam’s parents agreed to switch off the life-support machine and cause of death was recorded as heart failure. Allitt was never questioned about her role in Liam’s death. A fortnight later, on 5 March 1991, Timothy Hardwick, an 11-year-old who suffered from cerebral palsy, was admitted following an epileptic fit. Allitt looked after him and he, too, died although no cause of death was established. On 8 March one-year-old Kayley Desmond had a heart attack in the same bed in which Liam Taylor had died — her nurse was Beverley Allitt. The resuscitation team were able to revive Kayley and she was transferred to another hospital in Nottingham where doctors discovered an unusual puncture hole under her armpit. There was no investigation. On 20 March Paul Crampton, five months old, was admitted because of a bronchial infection. Allitt looked after him and on three occasions he almost died before he was moved to another hospital. On 21 March, 5-year-old Bradley Gibson had two cardiac arrests as Allitt cared for him but he, too, survived after moving to another hospital. Despite the preponderance of fatalities and near-fatalities around Allitt, no one questioned her. The next day, Yik Hung Chan, two, almost died because of Allitt’s intervention. On 1 April Katie and Becky Phillips were admitted and Allitt took charge. After two days they were discharged and Becky died that night. Katie was readmitted to Grantham and Kesteven as a precaution. When she was moved to another hospital, she was found to have five broken ribs and serious brain damage which left her partially paralysed and with sight and hearing damage. Four more victims followed, the last being 15-month-old Claire Peck who died on 22 April. Allitt was arrested in November 1991. She went on trial on 15 February 1993 and on 23 May was found guilty and sentenced to 13 concurrent terms of life imprisonment. The judge recommended she serve at least 40 years, a tariff that was cut to 30 on 6 December 2007. Sue Phillips, mother of Katie and Becky, was so grateful to Allitt for her care that she asked her to be Katie’s godmother. In 1999 Lincolnshire Health Authority agreed to pay £2.125 million for treatment and equipment for the rest of Katie’s life. It did not accept liability.